Vanessa with Frits van der Werff, VP F & B, Rudi Sodamin, HAL’s Master Chef and Chairman Culinary Council for HAL, Jerrol Golden, PR HAL outside Rudi’s Sel de Mer restaurant. The popular Grand Dutch Café. Rolling Stone Rock Room house band. Holland America Line should be justifiably proud of its newest ship, the very lovely Nieuw Statendam. I sailed on her briefly last week from Rome to Malaga before she set off on her first transatlantic voyage to Fort Lauderdale, where she will homeport for the Caribbean season. Having sailed sister ship Koningsdam in Spring of 2016, I had a sense of what to expect from Nieuw Statendam and knew a sense of familiarity would prevail. It did, but I am happy to report that the HAL product is also better than ever, particularly in two key areas -- music and cuisine. In a Q & A with President and CEO, Orlando Ashford (who I must say is a wonderful man, with a big heart, a sense of humour and a very present awareness of how this brand needs to evolve), he affirmed his and the company’s focus on several key areas – the two previously mentioned, destination immersion with its EXC tours and, ultimately, service. He feels that if HAL can offer guests the option to be a "modern explorer" they will find the right fit on a Holland ship -- and if they are also music fans (of all types essentially) and enjoy fine cuisine, then they will definitely be attracted to this brand. He believes it’s not about demographics but psychographics. Regardless of age, will the prospective guest want to listen to a wide variety of very good music and enjoy excellent food? If yes, then HAL is the right fit. For me, the answer is a resounding yes. The food has improved overall in the last few years from what has always been a good base. Now, and in certain restaurants, it is exceptional and sophisticated. We dined in Rudi's Sel de Mer, which was spectacular in every way. Not just the cuisine and décor, but the overall menu (a seafood brasserie) with ample options for this non-seafood lover. There was a terrific and clever presentation of each dish on wonderful china -- each charger plate reflecting a charming and whimsical painting by Rudi Sodamin himself -- all "food faces" with quirky captions. 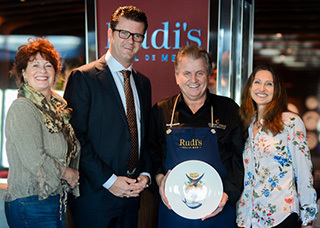 Sodamin is the long-standing Master Chef and head of the Culinary Council for Holland America. Sel de Mer, originally introduced on Koningsdam is now eponymous with this talented chef and great character. 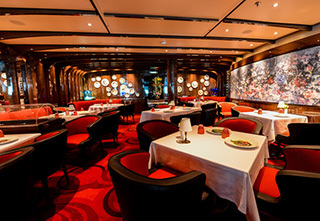 On other HAL ships, Sel de Mer is a pop-up in Pinnacle Grill one night per cruise. Tamarind is the gorgeous Asian fusion restaurant with the separate Nami Sushi Bar by Master Sushi Chef Andy Matsuda, who provides innovative recipes here; both are fabulous with happy foodie guests. 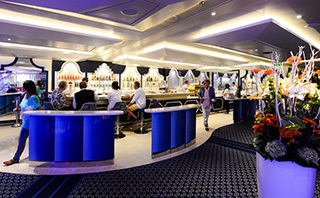 We dined in six spots onboard and all were extremely good -- ranging from made-to-order pizza at the pool area for lunch, to the main dining room and lovely Canaletto for good Italian with its elegant décor in a specific space which is a part of the Lido. The Lido itself is a lovely and spacious café with lots of choice from a number of stations, all with good food and service. 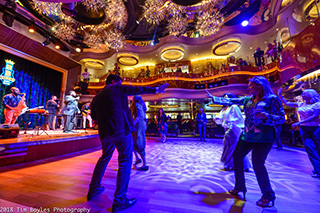 It’s the music that makes this HAL ship a stand-out though and the addition of the Rolling Stone Rock Room – in partnership with the magazine -- is a massive hit. Packed every night for each of the three sets, the audience loved this spot along Music Walk – it’s a powerful and wonderful addition. The house band consists of five guys who have come together to make great sound and who play some of our favourite tunes from the 60's up to the 80’s plus. Doing their versions of songs from The Eagles, John Mellencamp, the Stones, Hendrix, CCR, The Band and many more. Happy guests packed the room, singing, dancing and clapping along, enjoying every moment of these marvellous performances. Across from the Rock Room were the dueling pianos of Billboard Onboard with requests happily received from guests and then down the hall, the B.B. King's Blues Band belted out three sets most nights too -- great soul and blues music from some spectacular voices. Lincoln Center Stage now performs during the day or early evening from this same venue and is also much appreciated. As noted, there’s something for everyone. Plus in the main theatre, there was an opera performance one evening and a Spanish guitar foursome on another. 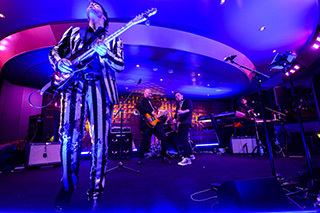 The evolution of Music Walk (Rolling Stone Rock Room will also debut on Koningsdam this month) certainly puts an imprimatur on the brand and they have locked in this kind of stellar entertainment for their guests – many kudos here for the delivery and the talent. Other minor changes – the Culinary Arts Center never quite gelled and this space near Rudi’s on Deck 2 is now going through a test phase as Club Orange, which offers a complimentary breakfast and dinner spot for guests in Pinnacle and Neptune suites and for others who are prepared to pay a $50 US per person per day fee to use this private glass-walled dining room. America’s Test Kitchen is now being showcased on the World Stage – which works well. Other news: in a partnership with Fuji, there’s a Wonder Photo Shop on board which helps guests use images they may have on their phones and print them for gifts or to put on coasters, T-shirts, mugs etc. And one last new addition – which is marvellous – an actual art gallery with beautiful works of art for sale (not auction). It is managed by ArtLink Galleries which provides all the art and art installations, (many from emerging artists) for the ship. There are gorgeous pieces everywhere with a total value of US$4 million. Holland is now a veritable floating art gallery in every way. Nieuw Statendam is an elegant, modern explorer and a welcome addition to a wonderful fleet. She is the epitome of design – with some rooms and spaces created by the renowned Adam D. Tihany. It has a musical theme which is beautiful and overall is a gorgeous ship with many favourite spots for repeat guests and with an eye to the future for new-to-HAL cruisers. 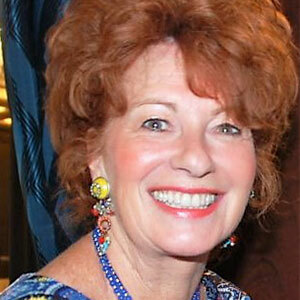 An internationally-known luxury cruise expert, Vanessa is publisher and editor of Cruise and Travel Lifestyles magazine. She appears with Nina on the bi-monthly video Cruise Factor.